Taken in Trentino, Italy - altopiano di Vezzena. 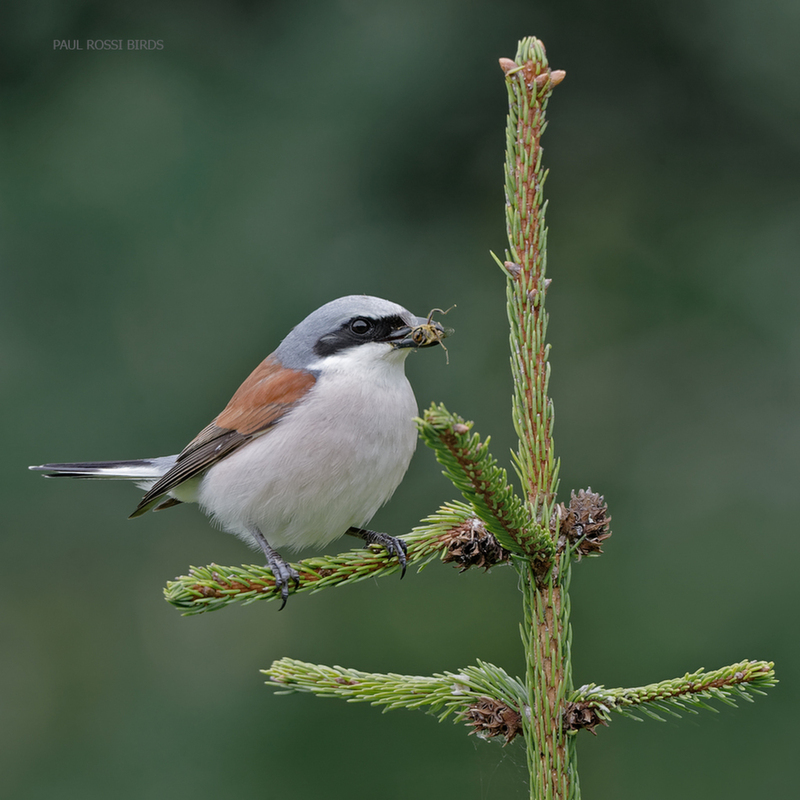 Beautiful shot of the Shrike, Paul. Nice diffused light and excellent background. The bug in beak males ths for me- and the excellent perch, detail and background. Sweet shot. I enjoy birds with insect photos. Excellent capture for you both! Superb shot Paul! The perch, BG and the framing is very nice. Stunning capture... like the flat light and spruce top perch making for a great comp..